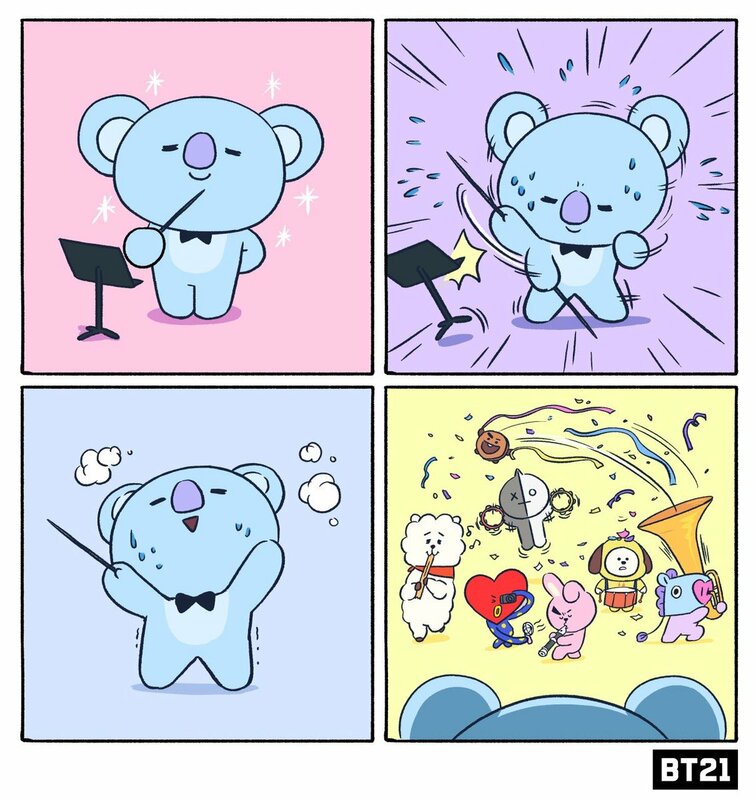 BT21's tweet - "Music is Life 😎 But sometimes, life can give you a hard time #KOYA #BT21 "
Pero a veces, la vida puede hacerte pasar un mal rato. BT21, karakterlerin bir çizimini paylaştı. Але деколи, життя може створювати тобі труднощі. did mang just... yEET shooky out of his trombone??? [BT21] |11.02.2019| Actualización de BT21. If this AIN’T the exact representation of RM as the leader of BTS, then I don’t know what is. isn’t this RM during english interviews? Aren't you at Grammys Koya? Ok but why is BT21 such an accurate representation of BTS, sometimes even more so than BTS themselves???!! !